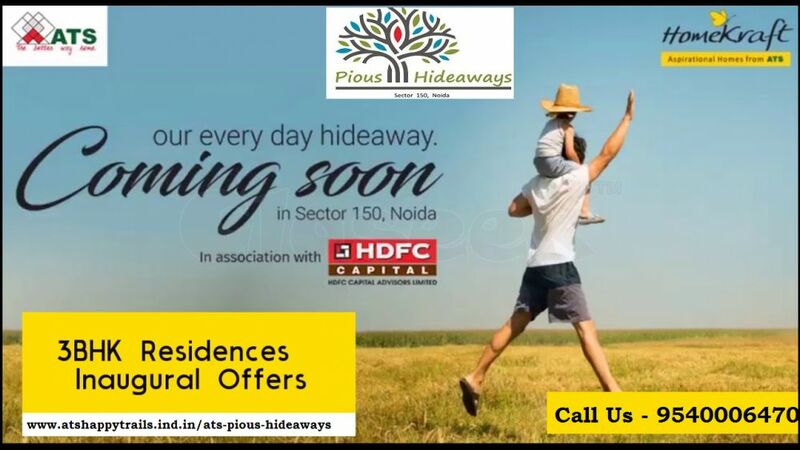 ATS Pious Hideaways is a pre-launch residential project located at Sector 150 Noida near Noida Expressway. The luxurious project is developed by ATS Homekraft Builder who is very believable and bright Builder in India. ATS Pious Hideaways Noida is an incredible and most awaited residential project with classy amenities. The 3 BHK flats in Sector 150 Noida are built to be a terrific luxury and are known to create a great residence for the residents. All the primary facilities like Hospitals, Markets, Shopping Complex, Schools, Sports facilities, College, Commercial Shops, and stores near to the ATS Towers. ATS Grand Campus is spread over 17 Acres of the land and marked by lush green space.